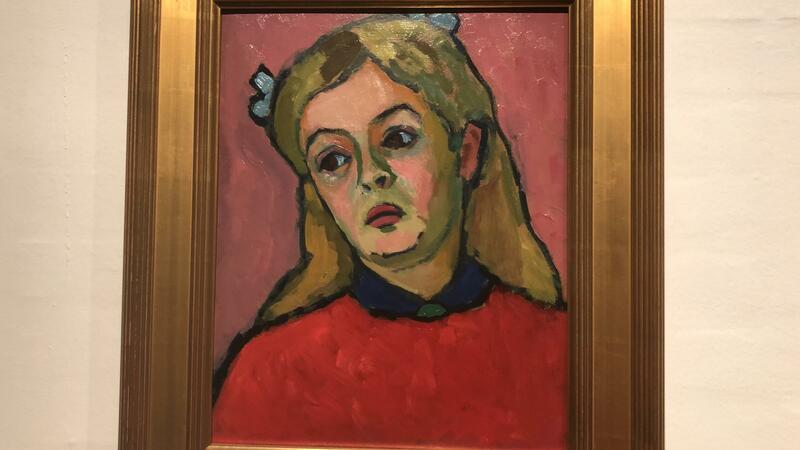 Munter’s life span was 1877 to 1962, and she is categorized as a German Expressionist. 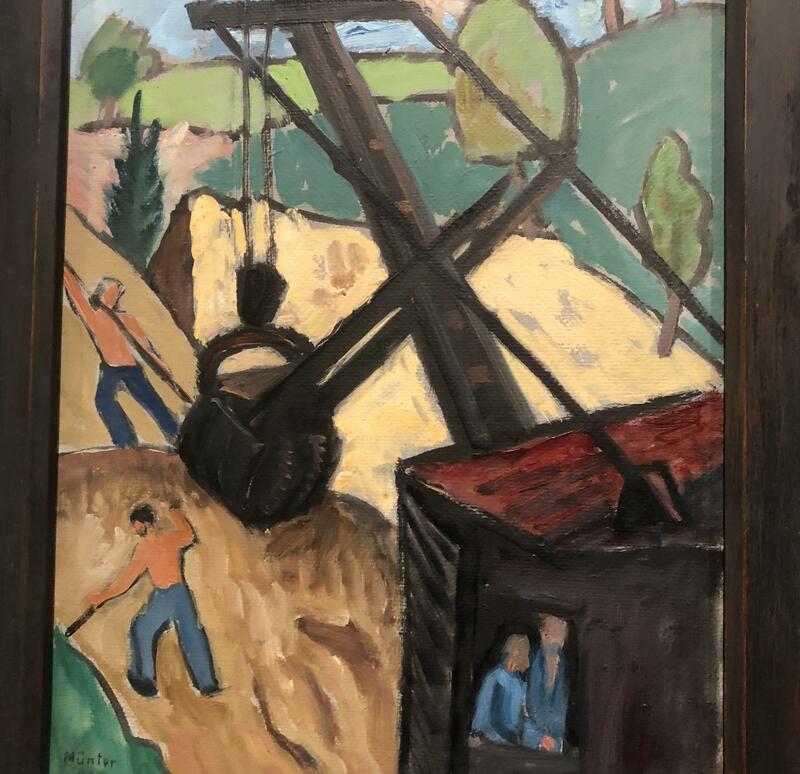 I am looking at a painting of a steam shovel with its bulky black bucket and cross cables dividing the painting into color zones. Men are at work excavating a cliff. Shapes are outlined in black with intense contrasting areas of color. A new road was being built through her town for the 1936 Winter Olympics, and she was fascinated with the colossal excavator. She called it “the monster that devours everything and spits it out.” She made it the centerpiece of an entire wall of paintings that I am looking at. 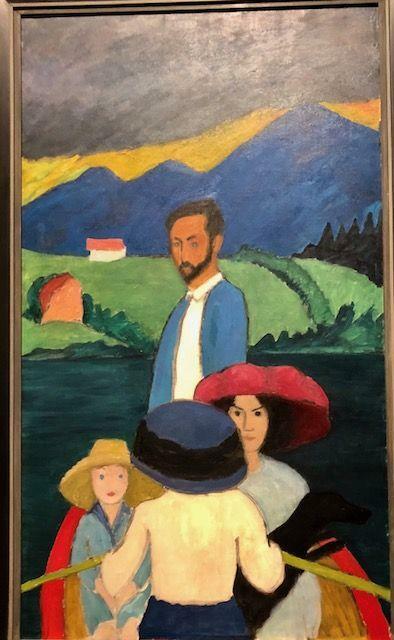 Munter used it to simplify her shapes, so, for example, a large painting dominating one wall in front of me of a man and three women rowing has a two dimensional quality that makes it look simple on the one hand and powerfully engaging on the other, as if a moment in time between friends had been captured with a crystal sharp emotional intensity.